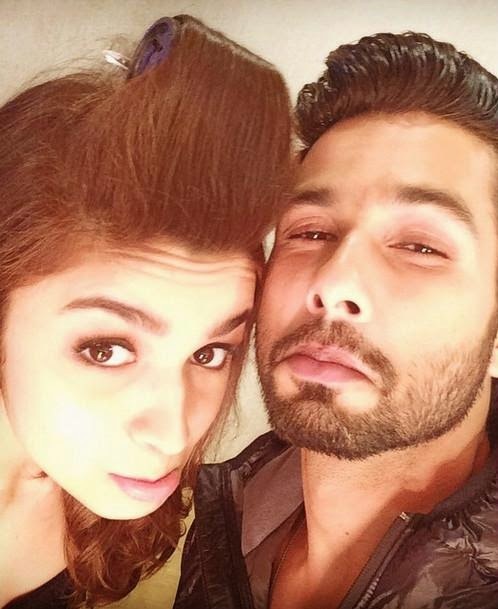 Alia Bhatt and Shahid Kapoor wrapped up the final schedule of their upcoming movie “Shaandaar”. The actress took to her Instagram account to share a grumpy selfie with her co-star. 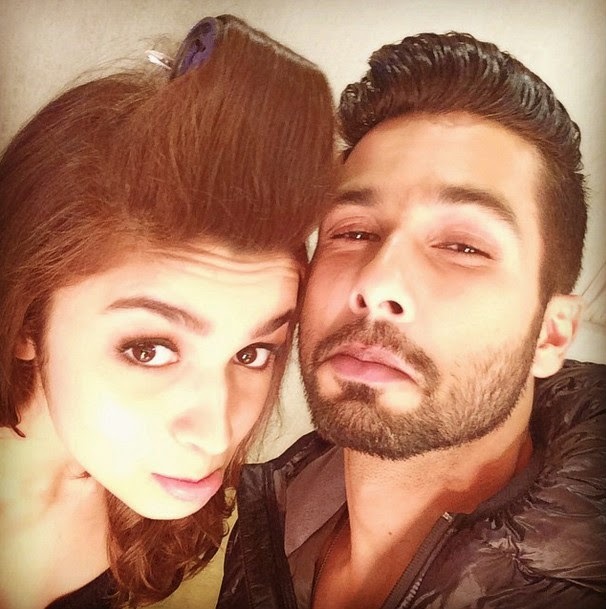 Even Shahid said that “Shaandaar” wrapped up way too soon. He also shared a photograph with his tweet. Shahid and Alia will be seen essaying insomniacs in the movie, which is touted to be India’s first destination wedding film. Directed by Vikas Bahl, “Shaandaar” also features Sanjay Kapoor and Pankaj Kapur in supporting roles. It is jointly produced by Karan Johar and Phantom Films. Now that you’ve shot with Shahid Kapoor for Shaandaar in Europe do you still have a crush on him? It was a childhood crush. I was 10 when I saw Ishq Vishq and for an actor to be so good in those days meant a lot to an impressionable girl like me. I thoroughly enjoyed my shooting . It was my longest stint outside India. We were shooting in Leeds and Poland for 45 days. But it was amazing. We were like one big family. The film is about a destination wedding, and that was the mood during the shoot. Our director Vikas Bahl was like a patriarchal figure. He was so supportive to every person on the sets. He never loses his temper. Would you like a destination wedding for yourself? I don’t know. All I know is, I want to look amazing at my wedding. Beyond that I haven’t thought about my wedding. How was it working with Shahid? I was more nervous about the film than about working with Shahid. It was great fun working with him. Otherwise I wouldn’t be doing another film with him. Of course, Shahid has 11 years’ more experience than me. I was aware of that. And I love observing my co-actors . Shahid is very helpful on the sets. And he is hands-on. He goes out of the way on the sets. He’s not just an actor on the sets. His enthusiasm level was very very inspiring. I keep telling him that. It’s so refreshing to see him being so eager to learn. I want to be like that. I never want to have that know-it-all attitude. My Dad always says one should always be unsure. It helps one to grow. I saw no smugness in Shahid’s attitude. Kangana gave a rousing performance in Vikas Bahl’s Queen. Can we hope for more of the same from you in Shaandaar? All I can say is, it is something different from what I’ve done so far.